Thank you to Gillian Mulvany who, with the help of Skryne Folk Group, the Virginia Gospel Choir and Skryne Parish Children's Gospel Choir, raised funds at a special prayer service in her local church in Skryne, Co Meath. 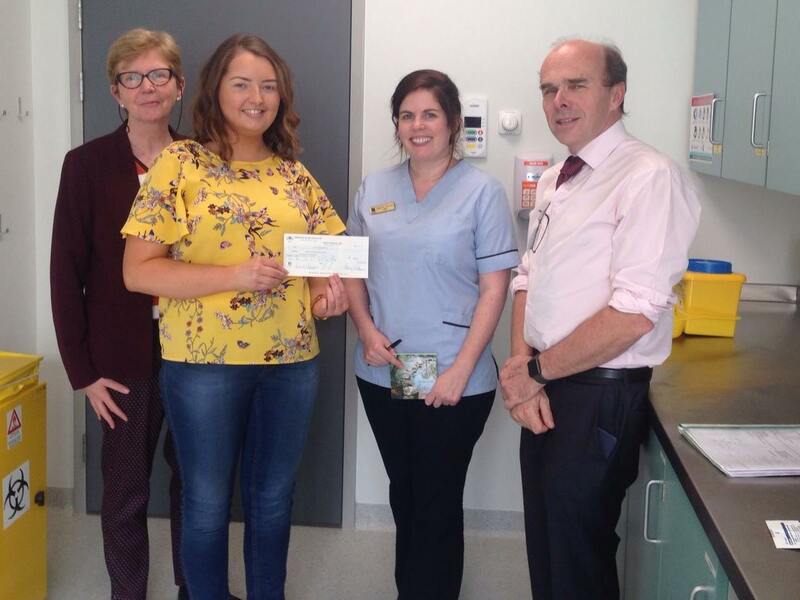 Gillian, a dialysis patient, raised €650 for Renal Dialysis Homecare Services and is pictured here with her mother, Margaret, along with Annette Butler, Home Therapies Clinical Nurse Manager 2 and Peter Conlon, Nephrologist. Thanks again to Gillian, to the choirs involved and to all those who supported this worthy cause.